Egypt denied on Monday media reports that the crash of a Paris-Cairo EgyptAir flight in 2016 was likely caused by a cockpit fire. The Egyptian general prosecution said in a statement that the reports are untrue, stressing that it was still carrying out investigations over the crash, according to state-run news website Ahram Online. This is the first official Egyptian comment on the issue since several media outlets, citing French investigators, reported that the cause of the crash was likely due to a fire in the cockpit. In May 2016, EgyptAir Flight MS804, an Airbus A320, went missing from radar screens en route from Paris to Cairo with 66 people on board, including 30 Egyptians and 15 French as well as passengers from Algeria, Belgium, Britain, Chad, Portugal, Saudi Arabia and Sudan. 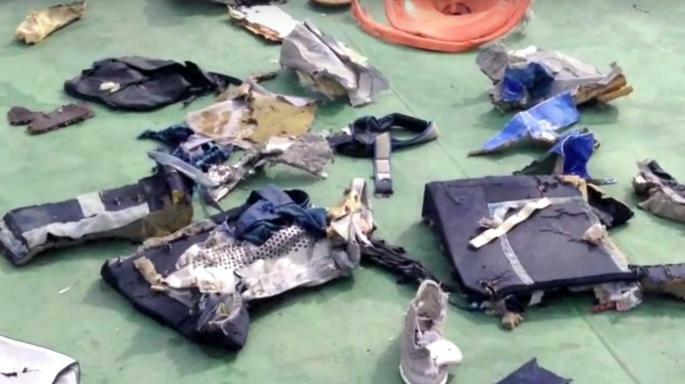 The Egyptian military later announced personal belongings of victims and small pieces of the plane wreckage were found in the Mediterranean Sea 290 km north of the coastal city of Alexandria, Egypt. The general prosecution again indicated the Egyptian forensics report, which said that traces of explosives were found on human remains, plastic, mineral, and metal materials retrieved from the crash. Egypt’s High State Prosecution has been carrying out investigations since December 2016 following an announcement by Egypt’s civil aviation ministry at the time that traces of explosives were found on the remains of the victims. Probes into the tragic fall of the plane are still ongoing with all theories on the table, including a terrorist bomb and a severe technical failure, yet without a strong clue for any.